Each month, Cassville Intermediate School presents a different character trait in classrooms in partnership with the counseling department. At the end of the month, classroom teachers nominate students they think best exhibit the character trait that month. 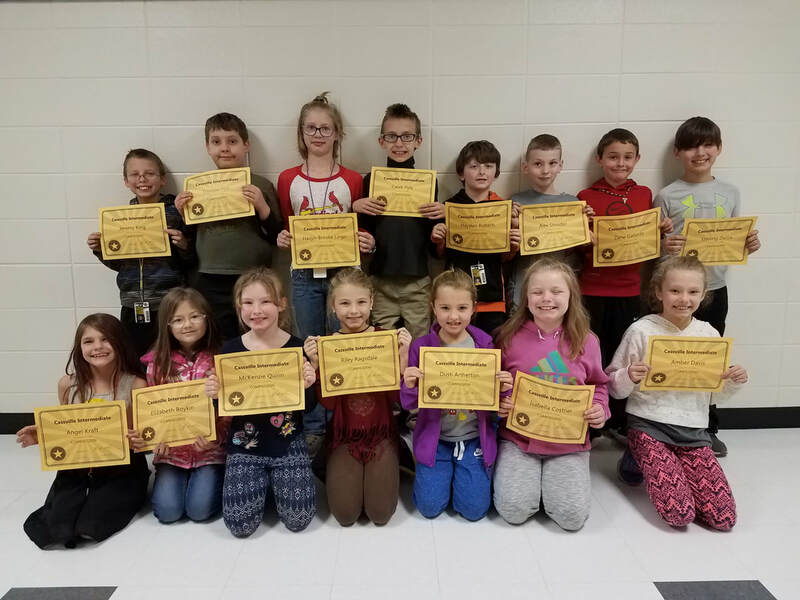 During the month of February, students were selected for the character trait of compassion. Third grade students selected as February’s compassionate students are pictured above, from left to right. In the front row: Angel Kraft, Elizabeth Boykin, McKenzie Quinn, Riley Ragsdale, Dusti Artherton, Isabella Costner and Amber Davis. Back row: Jeremy King, Trenton Pyle, Havyn-Brooke Lingo, Caleb Pyle, Hayden Roberts, Alex Stouder, Zane Gallardo and Sterling Zucca. 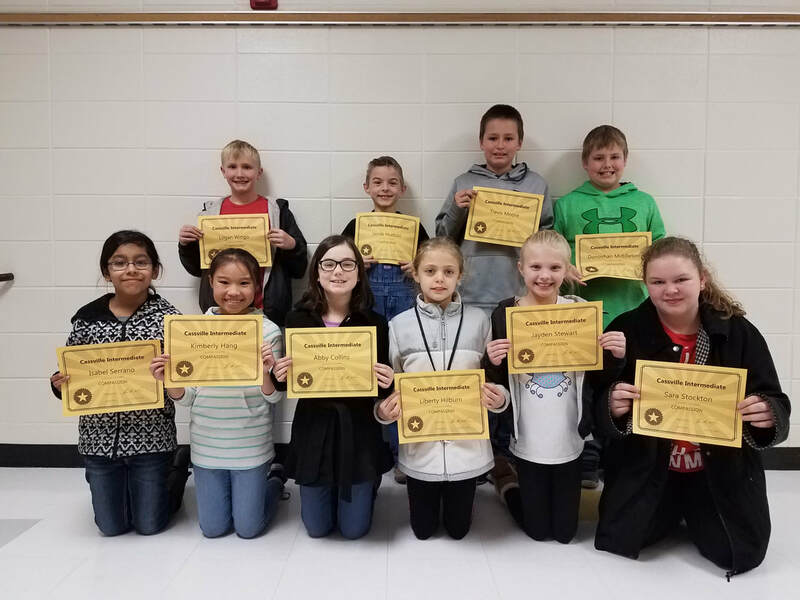 Fourth grade students selected as February’s compassionate students are pictured above, from left to right. In the front row: Isabel Serrano, Kimberly Hang, Abby Collins, Liberty Hilburn, Jayden Stewart and Sara Stockton. Back row: Logan Wingo, Jacob Hudson, Trevis Moore and Donovhan Middleton. Absent: Corbin Green. 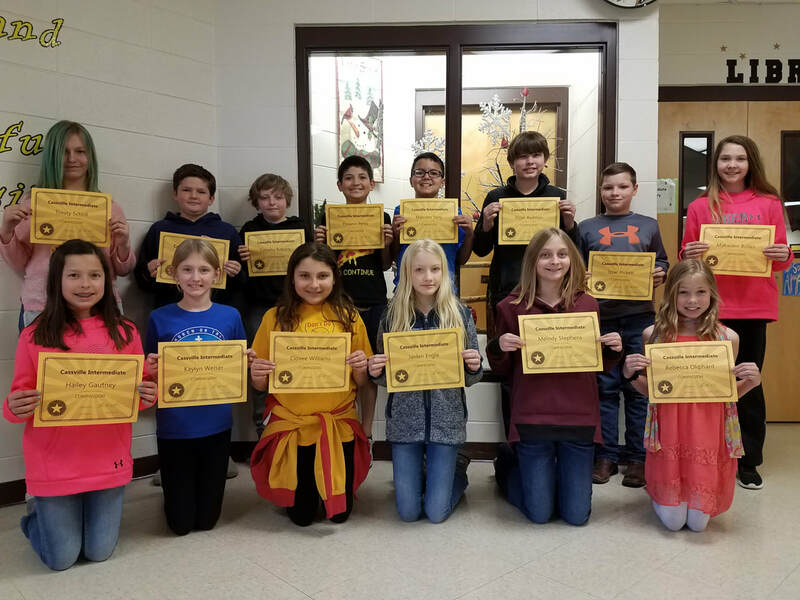 Fifth grade students selected as February’s compassionate students are pictured above, from left to right. In the front row: Hailey Gautney, Kaylyn Weiser, Clovee Williams, Jaiden Engle, Melody Stephens and Rebecca Oliphant. Back row: Trinity School, Xavier Cole, Timothy Roberts, Yovanni Perez, Malcolm Terry, Elijah Redmon, Issac Pickett and Makaiden Bolles. Absent from photo: Bradly Stumpff.